Ever wonder if some of the online folks are right and that the world is shifting to everything with a battery and a plug? 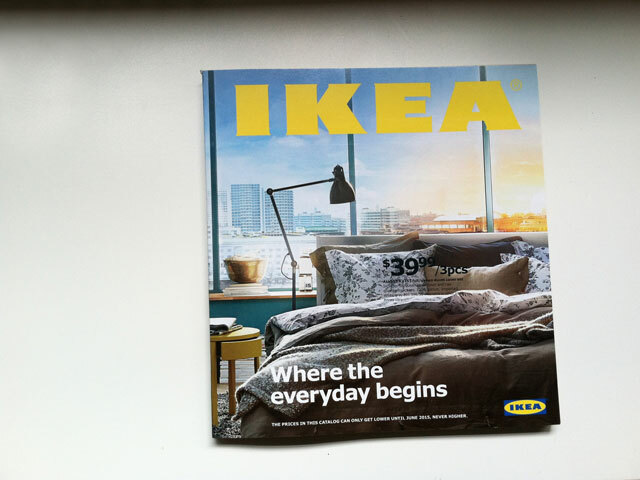 Then along comes the brilliant ad for the IKEA 2015 catalog. The latest ad singing the praises of a cordless, share-able, no-lag time page turner of a catalog is GENIUS. We all still live in the world. The printed catalog is still read, loved, kept, and utilized. A wonderful sales and marketing tool indeed! Get yours today. I’m keeping mine.